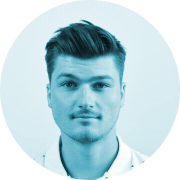 Niklas is a radiology technologist working in a radiologic institute in Vienna. Based on his high interests in sports, health and digital technologies he takes the master program as a chance to expand his professional knowledge. His vision: implement and simplify digital health technologies in daily life for young and old.